I've PM'ed you my address so you can send your no longer required Explorer. Switched to my other Moon related watch for Sunday best and watching the England vs France rugby. 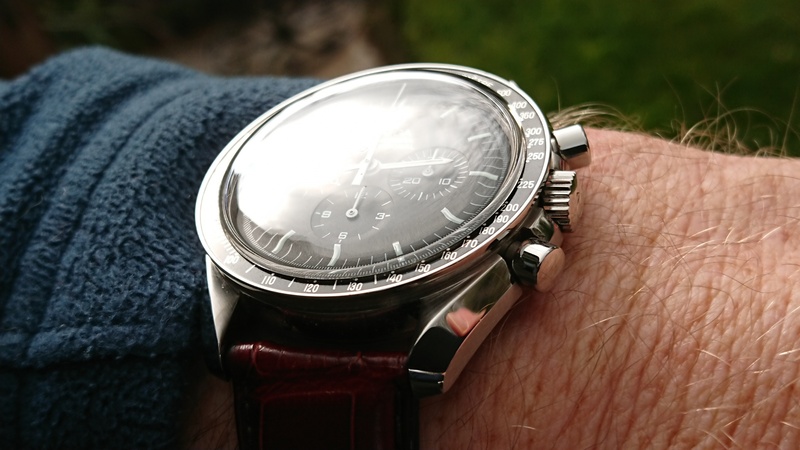 Omega Speedmaster Moonwatch - 1861 handwound movement and Hesalite crystal. 1 more for a Moonwatch, Hesalite version. Submariner on tatty Nato with dancer looking at the sole of her right foot. Now back with its owner. A tool watch for me this afternoon, robust enough to cope with potential assault from building bricks. 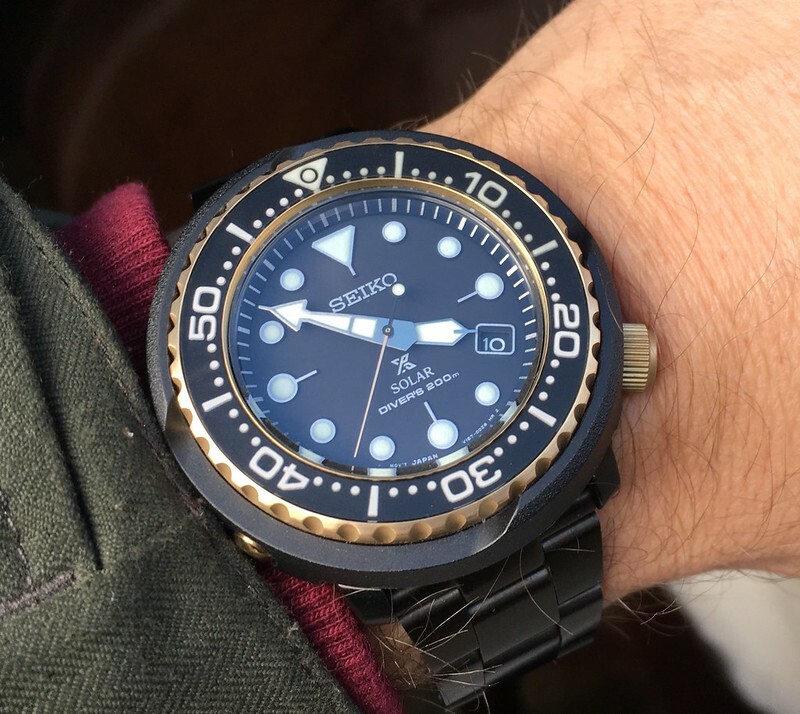 This must be one of these Shark Trident homage watches? Well I was waiting for someone to say that! Seeing your pics Paul has reminded me of why I like this watch so much. Used to think I preferred the white dial, but I may have changed my mind. I reckon I will have to try one on again sooner rather than later. Richard thank you for you kind offer, however I need to keep at least one watch that I am happy to stick on a Nato. So it’s a polite respectful thanks, but no thanks!